A presentation on the Ball State University Freedom Bus immersive learning project will be held on Friday, November 6 in the Arts & Journalism Building 175 from 3:30 to 4:30 pm. 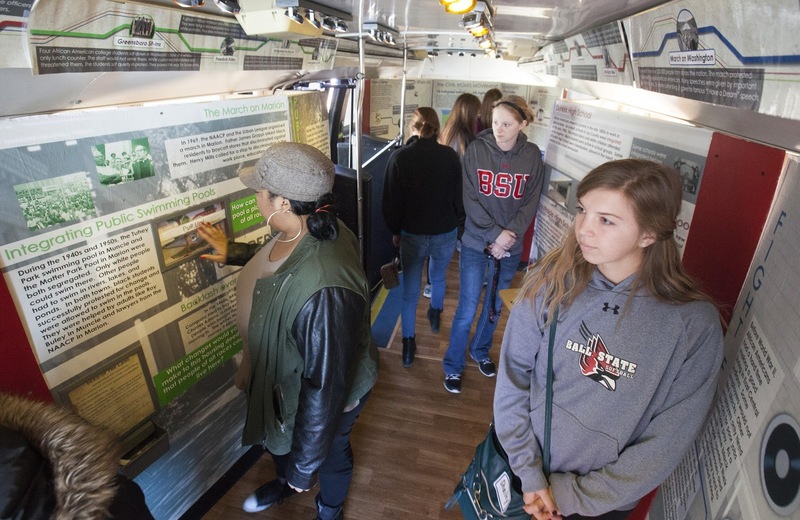 The Freedom Bus began almost ten years ago when Muncie leaders dreamed of turning a retired city bus into a mobile museum teaching the history of the civil rights movement of East Central Indiana. 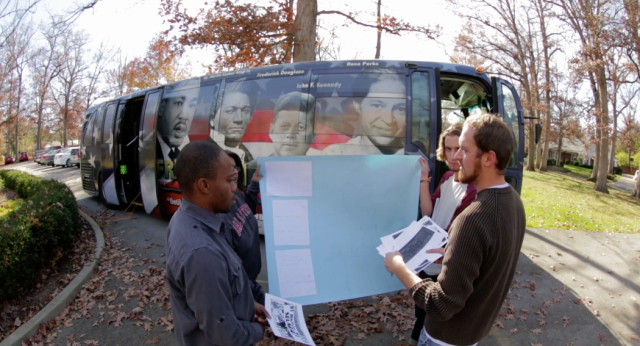 An interdisciplinary team of students began last fall researching and creating timelines, maps, and interactive exhibits for display on the bus under the direction of Dr. Beth Messner, Associate Professor in the Department of Communication Studies. When completed in the spring of 2016, the Freedom Bus will function as a traveling museum, visiting schools, organizations, and other community events. The mission of the bus is to educate about local civil rights history, celebrate the work of local civil rights activists, and inspire visitors to make a difference in their own communities. This presentation will discuss the development of the Freedom Bus. Visitors will have the opportunity to tour the museum to see the students’ work. Sponsors of the Freedom Bus are the Martin Luther King, Jr. Dream Team, the City of Muncie/Muncie Human Rights Commission, and Muncie Indiana Transportation Service. Ball State University sponsors include the Office of the Provost, the Virginia B. Ball Center for Creative Inquiry, Center for Peace and Conflict Studies, and the Department of Communication Studies.